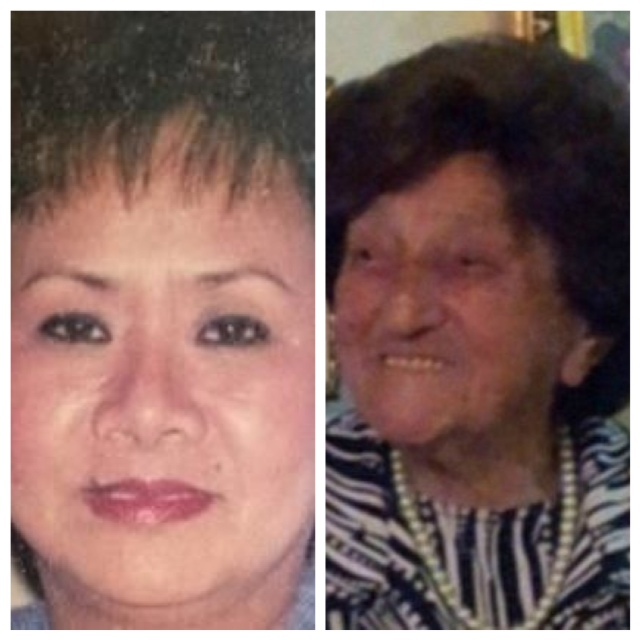 Two seniors have been killed by motorists in Manhattan and Brooklyn since Saturday. Both crashes were apparently precipitated by careless driving or negligence, according to reports, and both drivers were exonerated by NYPD. Pelagia Zingatan and Gitzella Katz. Photos via New York Post and DNAinfo, respectively. Zingtapan had been returning from lunch with a friend when the cabbie tore westbound across 69th Street, honking his horn, witnesses said. They said the driver was trying to make the yellow light. Pedestrians including Zingtapan were already crossing 69th. Zingtapan’s companion jumped out of the way, but she “froze” in the middle of the crosswalk, witnesses said. After she was “dragged halfway down the block,” according to the Post, passersby lifted the cab off Zingatan and administered aid. She died at Weill Cornell Medical Center. Though witnesses quoted by the Post and the Daily News said the cab driver was gunning for the light, NYPD told DNAinfo that police “do not expect any foul play,” and do not know if he was speeding. Cops told the Post and the News that they don’t expect to file charges. “They were just laying there, not moving. They were walking together. I saw them fall backward,” Pessie Gelb, 44, said. Another witness, Christopher Wallace, heard the victims’ horrifying screams just before the accident. Gitzella Katz was the 34th pedestrian or cyclist known killed in Brooklyn this year. Of those 34 crashes, one sober driver is known to have been charged by Brooklyn District Attorney Charles Hynes for causing a death. Pelagia Zingatan was the 26th pedestrian or cyclist known killed in Manhattan in 2012. To date, no motorists are known to have been charged by Manhattan District Attorney Cy Vance for killing a pedestrian or cyclist this year. NY cops are just lazy assholes. They don’t care about public welfare. They just want to enjoy their power over people when they feel like it. Otherwise they just want people to piss of and not bother them. I, as a pedestrian, was injured by a bicyclist who decided to get into the pedestrian path on 72nd and 2nd Ave (8/31/12). I was badly injured, the police showed after 35 minutes the ambulance left, there’s no police report and everyone is giving me a hard time. I have a big hospital bill and the responsible for my injuries is on the lose. The traffic cop on the corner said he didn’t take the guy’s information because “it wasn’t his job.” I wonder why this kind of injustice is not published AT ALL. the bicycle lane on the Brooklyn Bridge. Thankfully, I was not badly injured, and neither the pedestrian or runner was injured, because I crashed to avoid them. report The cops that arrived in a patrol car refused to write up a report, and when I attempted to write down the cop’s name and badge number, he threatened to arrest me. but where is the general protest ? I might add, if these innocent victims were younger – greater attetnion would be paid. And by the NYTimes which often doesn’t find these commoplace killings of innocents fit to print. . How long, dear Lord, how long?